HONOLULU, Hawaii, US, Mar 7 2012 (IPS) - Iran’s Mar. 2 parliamentary elections were touted by many Iranian officials, including Supreme Leader Ayatollah Ali Khamenei, as the most “critical” event since the establishment of the Islamic Republic 33 years ago. The campaign featured posters exhorting people to vote as a means to prevent military attacks, as well as emphatic declarations by Khamenei that high turnout would be a “slap” in the face of the enemy. And if official figures are to be taken at face value, the Iranian electorate responded to the call, showing “insight and unity”, in the words of Gholamreaza Haddad Adel, an incumbent lawmaker who is now considered the most likely candidate to replace current speaker Ali Larijani in the next session of parliament. Other government officials are hailing the election as a watershed in the face of military threats from Israel and “crippling” economic sanctions by the West. 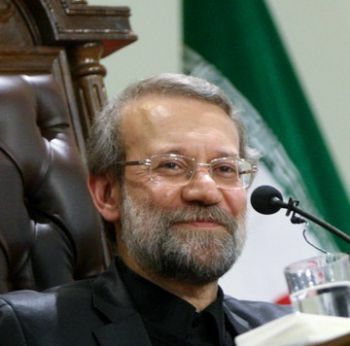 According to Larijani himself, the election constituted a rebuke to Iran’s enemies who had wagered on a lacklustre turnout in order “to place even more pressure on Iran”. Instead, “the nation” stepped in to “push back against adventurist rivals and show that, in regard to national objectives, it is of one voice with the regime, and its exemplar is not political groupings, but rather the Leader of the revolution”, whose “management of the setting was praiseworthy”. Official figures showed a seven-percent increase in voter turnout compared to the last parliamentary election in 2008 – from 57 to 64 percent. In many large cities, according to the official tally, participation increased dramatically. The number of people voting in the northern city of Rasht, for example, increased by 165 percent, while the southern city of Ahwaz witnessed a more modest, but still remarkable 50-percent increase, according to the publicly released results. These figures are unlikely to be accepted by people who believe that the announced results of the contested 2009 presidential election, won by President Mahmoud Ahmedinejad, were fraudulent. Many of them stayed home to protest political conditions in the country, including the continued detention of reformist leaders and the ban on their political parties. Indeed, the inability to independently verify the results will add to suspicions that elections in Iran are becoming increasingly like show elections, particularly since the official in charge, Interior Minister Mostafa Mohammad Najjar, gave out different figures regarding the number of people who participated virtually every time he spoke publicly after the polls closed Friday night. As to the results, the much touted competition between the two lists of conservative candidates – one presumably supporting Khamenei and the other indirectly supporting Ahmadinejad – did not really materialise. Instead, among the 225 out of 290 seats that were decided in the first round of voting, the majority of winning candidates either appeared on both lists or were rookie politicians who ran as independents. About 20 people identified with the reformist movement were also elected. Only in Tehran is there likely to be a confrontation between the two lists in the second round of voting next month, since only five out of the slotted 30 seats allotted to the capital city were decided. Fifty candidates will have to compete for the remaining 25 seats, along with candidates for another 40 seats elsewhere in the country, because none of them received the minimum 25 percent of the total vote cast that is required to win in the first round. There was no surprise in the large number of incumbents who lost their seats, since historically only about 30 percent of sitting lawmakers have been re-elected. Nonetheless, Speaker Larijani had to contend Monday with many unhappy deputies who claimed publicly that fraud and “unethical destructive conduct” were responsible for their defeats. Larijani must now figure out how to motivate the losers to do urgent work on next year’s budget whose approval has already been delayed by months due to government inaction and the election itself. The high number of new deputies and the lack of clarity surrounding both their political views and their campaign donors make predictions regarding the political trajectory of the new parliament difficult. But if the words of Ahmad Tavakoli, a current MP and head of the Majles Research Center, are to be accepted, “all (political) currents hold the same views in foreign policy, and their resistance against foreign pressures is good, despite the tactical differences they have in approaching the West.” It is in the domestic arena that “significant differences” are likely to emerge. “We still do not know which currents or groups will take shape (in the parliament) and which one will dominate,” he went on to say. The election produced one major surprise, described as “shocking” by some disappointed members of the opposition movement: the announcement that former president Mohammad Khatami, the most prominent reformist leader who is not under some form of detention, had voted in a district outside Tehran. The reaction to that report was fast and furious on social networks and websites inside and outside of Iran. Criticism ranged from charges that he was committing treason against the people of Iran and being a coward and a dupe, to having blood on his hands for accepting the tenets of the Islamic Republic. Earlier in the year, Khatami had laid out the release of all political prisoners and lifting of curbs on political parties and the press as conditions for the participation of reformist candidates in the election. He had not called for a voter boycott, but many assumed that he would not vote. In an election in which participation was insisted upon as an expression of needed national unity in the face of foreign threats, Khatami was faced with the choice of working within or against the system. Hedging or working against the system from within was not an option. Reformists already have two leaders, 2009 presidential candidates Mir Hossein Mussavi and Mehdi Karrubi, who are under house arrest and have been widely accused of working against the system. Khatami made clear that in the face of few alternatives he does not see any utility in either joining them or abandoning the hope for reform or national reconciliation, even if only for doubtful tactical reasons. Meanwhile, the dominant conservative bloc, which since 2009 has repeatedly accused those who protested that election of sedition, also faces a choice. Now that this “critical” election has delivered a “slap to the enemy” and proved the “insight and unity of the nation”, the leadership could begin acting in a less paranoid fashion, intent on seeing enemies and fifth columns in every corner, if indeed its professed desire for national unity in the face of the enemy is sincere. Although it may yet be too early, no hints of such a path have yet emerged, however, as the leadership has so far failed to show any interest in using the election to reach out to reformists and their supporters and reverse the political polarisation that has afflicted Iran’s highly diverse society since the 2009 election. In that respect, this “critical” election appears designed more for external consumption than for internal reconciliation. HONOLULU, Hawaii, US, Mar 6 2012 (IPS) - Iran’s Mar. 2 parliamentary elections were touted by many Iranian officials, including Supreme Leader Ayatollah Ali Khamenei, as the most “critical” event since the establishment of the Islamic Republic 33 years ago.